San Diego, Ca. 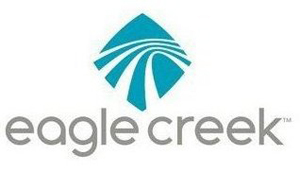 (April 18, 2013) – With deep roots in the world of adventure travel, Eagle Creek knows what’s involved on getting on the road. They also know that travel planning can happen anywhere, at any time. That’s why Eagle Creek continues to optimize their site for travelers, making travel less daunting for the novice, and seamless for experienced travelers. 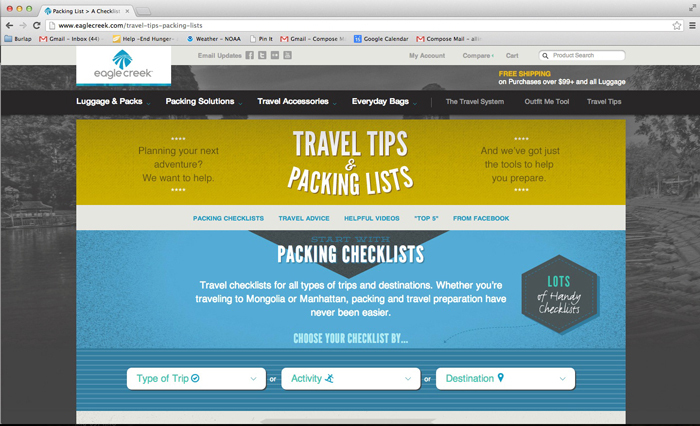 The new Eagle Creek Travel Tips center unveils new and revamped packing lists organized by type of trip, activity, or destination. It also features travel advice, articles, videos, and links to more specific suggestions and tips. Visitors can also access the Eagle Creek Travel Blog. Written by travel experts it provides engaging and original content that keeps travelers coming back.